Government bans on plastic can be effective in cutting back on waste, but poor follow-through has left many such bans ineffective, the U.N. said in a Tuesday report. 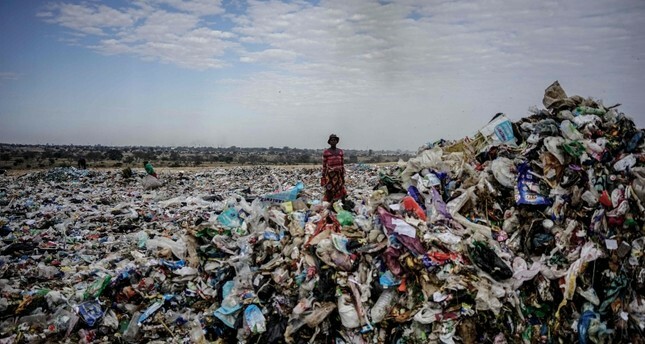 The report, with its release timed for U.N. World Environment Day, noted that rules limiting the use of plastic bags had decreased their use in places like Morocco, Rwanda and parts of China, sometimes significantly. But elsewhere things haven't gone so well. A ban on disposable plastics in New Delhi, for instance, has had only limited impact "because of poor enforcement," the report said. New Delhi has tried repeatedly over the past decade to ban the use of thin plastic bags, most recently announcing a heavy fine for rule-breakers. But the bags remain ubiquitous across the city, blowing in the wind, piled in ditches and readily offered in hundreds of thousands of shops. Elsewhere in India, including the states of Sikkim and Himachal Pradesh, there have been better results. India is hosting this year's World Environment Day. "Plastic pollution is a huge issue everywhere," U.N. Environment chief Erik Solheim told The Associated Press in an interview. He praised India for its growing focus on environmental protection but also noted that while traveling in the country he'd seen "some of the most beautiful scenic places, but destroyed by plastic pollution." "So the problem is big, but the ability to change is also big," Solheim said. The U.N. also called for the "biggest-ever worldwide cleanup" of plastic pollution, experts are focused on Southeast Asia, home to four of the world's top marine plastic polluters. Globally, some eight million tonnes of plastic is dumped into the ocean every year, killing marine life and entering the human food chain, according to the U.N. Environment Programme. Five Asian countries — China, Indonesia, the Philippines and Vietnam and Thailand — accounted for up to 60 percent of the plastic waste leaking into the ocean, according to a 2015 report by the environmental campaigner Ocean Conservancy and the McKinsey Center for Business and Environment. The five economies have "generated exploding demand for consumer products," the report said, but lacked the waste management infrastructure to cope with the surge in plastic garbage. Three years on, a "trash emergency" on the Indonesian island of Bali and the Philippines' decision to close the tourist island of Boracay showed governments are recognizing the impact of plastic waste, said Susan Ruffo, Ocean Conservancy's managing director for international initiatives. "But this is not just a government responsibility — corporations, civil society and citizens all have a part to play," she said, adding that engagement was improving.